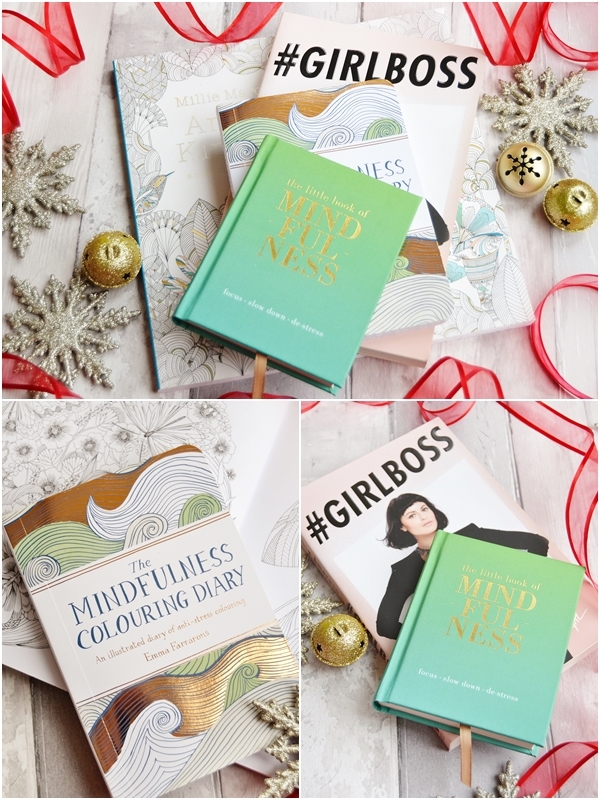 Whoop, finally it's time to roll out the first of my FIVE gift guides this year. This Christmas I've tried to source even more amazing gifts than last year whilst remaining savvy and keeping prices low. 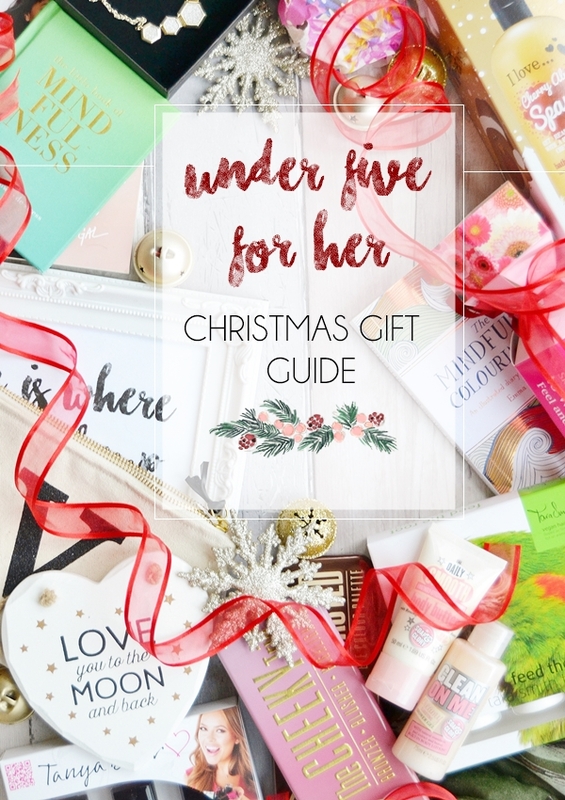 A quality under £5 gift guide is no easy thing to put together but I've tried my utmost best and think I may have just achieved it, especially as there are some great brands here. I really hope this guide gives you a few ideas if you're on a budget, looking for a secret santa gift or wanting to stock up on a few emergency presents for unexpected guests! 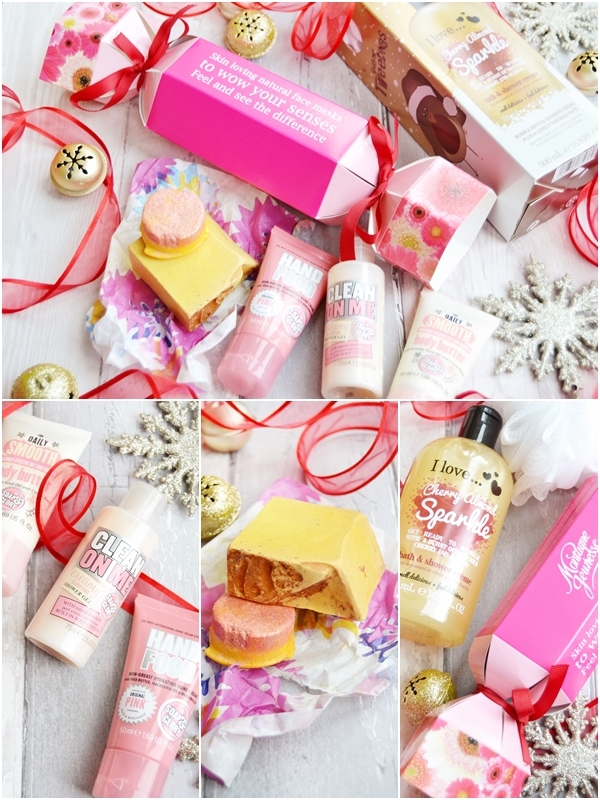 Fragrance Direct is my ultimate place to shop for gifts and treats for myself, there are just so many bargains to be had and all their under £5 gift sets are just amazing and of course heavily discounted. Here I picked up three gift sets and a few extras that I had to show you! A nail polish gift set for a nail lover is certainly a great present to give and this set has to be the most budget friendly trio I've come across this year! In the set you receive three amazing shades including a glitter polish and with it being a boxed set it feels a substantial gift to give. Plus there's six different trio sets to pick from, so you really are spoilt for choice here! Pssst, I already have a few TB nail polishes in my stash and have to say they are pretty damn good! Tara Smith is a favourite hair brand of mine as it's free from nasties such as SLS (sulphates). This wonderful packaged set contains both a 50ml shampoo & conditioner plus a hair serum. I'd say this is more of a mini hair gift set than just a trial pack and an excellent way to introduce someone to this fab brand for only £3 - such a bargain! If you are buying for a beauty lover that also loves Christmas then something festively themed will be spot on for them. I couldn't not pick up this shiny W7 Lip Bomb set as they instantly reminded me on the new Balmi metallic lip balms mix with the EOS balms. Included in the set of 3 fruity flavours (that smell so juicy!) in stunning metallic packaging. Just a lovely little set for the price and it could always be split up to give as fillers for 2 or 3 presents (I say two presents because then you can keep one for yourself!). Staying with W7 because it's such a good brand I thought I'd share with you two of my favourite palettes from them. These are such high quality and perfect for any teen that is just getting into makeup or even someone in their 20's that you know hasn't splurged on any of the Urban Decay Naked palettes as these palettes are such great dupes of them. Both palettes come in metal tins and just look great, plus they offer amazing pigmentation. But if you are wanting even more of a bargain that there's the smaller W7 In The Mood palette that still contains 6 eyeshadows for the amazing price of £2.50 here. If I'm totally honest it is trickier to find a beauty bargain on the high street especially if you want to opt for brands the recipient will have heard of and like, however it can be done! Below are four gift ideas that would work well as stocking fillers or as part of a present but shops such as Home Bargains, Pound World, Poundland and Body Care are great to have a look in. Beauticology products are everywhere this Christmas and with a huge range of fun, affordable gift sets. You can find them in Primark, Argos and Superdrug (plus a heap of other shops I'm sure), but the one that caught my eye due to the scent was the new limited edition Cherry Almond Sparkle set that contains a huge 500ml bottle of bath & shower creme and a handy shower puff all nicely packaged. The scent really is a winner for me as it smells like Bakewell Tarts and I'm sure most people would enjoy the scent too. This set and scent is exclusive to Superdrug at a really great price! Another great cracker of a gift here (gettit?)! This is such a bargain buy that I had to pick up whilst collecting a million overpriced toys from Argos last week. The lovely cracker contains 6 of Montagne Jeunesse's best selling masks for various parts of the body, not just the face. With six masks normally coming to £6 this is just great value and again a substantial gift to give with some extra sweets or chocolates. Lush are known for doing amazing gift sets at Christmas but they can be pricey so I decided to see if I could come up with a gift on a budget! With an over spend of 50p, which I'm sure you will forgive me on, I think I picked up two lovely products that could be easily gifted in a nice box or given as they are. A great tip to save money in Lush especially on soap is to look online first at the price per 100g and then ask in-store if they can cut you that amount (100g is the smallest amount they will do) which is so much better than picking up a piece that may be 200g+. I decided to go for the yummy Yog Nog soap which cost me £3.50 and as you can see it's a good size. Just goes to show that Lush can be affordable if you are on a budget or just want to give a small gift! Lastly for my highstreet bargains I headed to Boots and to their travel section and they have some pretty good minis these days and all on 3 for 2! As most beauty lovers a partial to a bit of Soap & Glory I picked up 3 minis for £2.50 each, but of course the 3rd mini was free. These included Clean On Me Body Wash, Daily Smooth Body Butter and Hand Food Hand Cream. 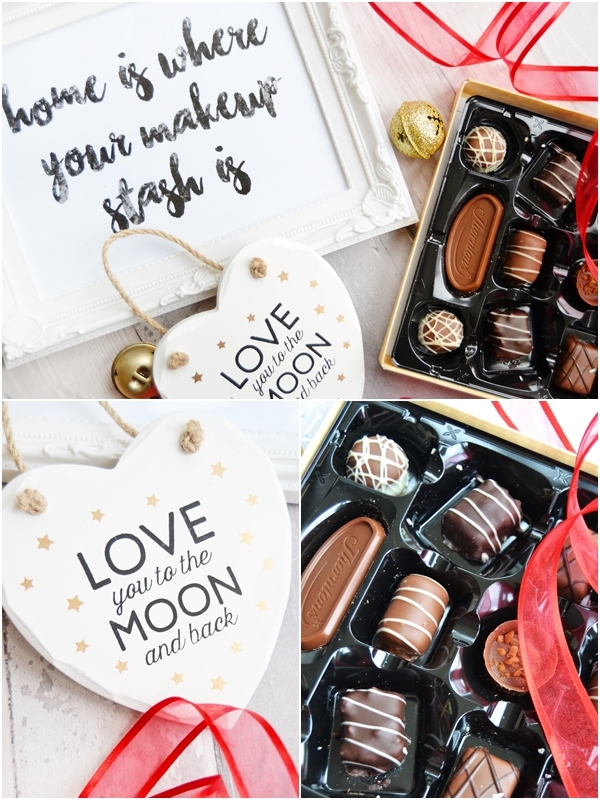 This would make a lovely little gift for someone or to fill the bottom of a stocking with. ASOS is my number 1 online store for cheap jewellery both my myself and to give as gifts. What I especially love is that you aren't limited just ASOS' own brand but so many others such as Orelia, River Island, Pieces, Gogo Philips and many more, plus most pieces come gift boxed. Here I bought this gorgeous Oasis necklace that was reduced to only £5 (you can find it here, fingers crossed it's not sold out!) and it definitely looks like it cost more than that. I'd totally recommend heading to the Outlet section of ASOS and also going to the main jewellery section of the site and looking from 'low-high' to find some amazing bargains. Anything personalised is great to give a a gift as you really can't go wrong and it's good for people you don't know so well/a secret santa. This initial makeup bag (could also work as a pencil case I'm thinking) is the cheapest personalised item I could find and really is lovely quality and a good size. Matalan offer the best range of initual products on a budget so if you are wanting a wooden letter, an initial mug or this lovely alphabet bag then certainly check out Matalan. Another lovely extra is this gorgeous scarf from Flamingo Gifts that's was a bargainous £5 and it's not just limited to this print... there's 11 to pick from! All the scarves are quite light and floaty but large in size so they can be doubled up or worn in which ever way you please. I've given scarves as presents before and like to wrap the scarf around the other gifts I'm giving and then wrap them all properly in paper. Books are a lovely gift to give especially to an avid reader but it can be tricky to find out what they have and haven't read. So for this reason I like to give motivational books as there are so many out there and even if the recipient is into them you can just opt for a lesser know title that they probably won't have read. A personal favourite of mine is Girl Boss by Sophia Amoruso (New from £4.94 Amazon here), which is certainly inspiring and motivational for anyone that is self employed or at uni thinking about their future career. It's just a really good easy but detailed read that every savvy girl needs on their bookshelf. I also love this little book called The Little Book of Mindfulness (£4.48 Amazon here) that is small in size but is worth it's weight in gold, especially for someone that has anxiety or depression or even someone that finds life stressful at times. The book contains practical tips on how to practice being mindful along with endless uplifting and inspiring quotes. Just a lovely thoughtful little book to give as a gift. Aside from motivational reads I had to include a few adult colouring books which have pretty much taken off in the past year. I'm personally a huge fan with my own Animal Kingdom Colouring Book (£3.99 Amazon here) that is just so detailed and perfect for sitting down with after a stressful day to clear my mind a bit. But you really can find so many now both on Amazon and supermarkets such as Asda and Tesco (I've always noticed Asda are cheaper for them). But if you are gifting someone that is new to the adult colouring books thang then this Mindfulness Colouring Diary (£5.00 Amazon here) is perfect as it's compact and includes 4 pages to colour in each month. This is actually a gift for someone but I'm really tempted to purchase this for myself as it both practical and creative plus I'm sure it would be satisfying to complete each page in order over the course of the year. For the past few years cute little signs have become popular and you can find quite a few bargain ones if you look around. This plaque instantly caught my eye on the ASOS website as I loved the little saying and gold stars, ideal for hanging on a door handle or the corner of a mirror. You can also find some bargain plaques in Homebase and even Poundland! Chocolates are a must at Christmas and for me it always has to be Thorntons, especially when I'm giving them as a gift. I especially loved the look of the Pudding chocolates as they are takes on classic puddings but in chocolate form! The above box has of course been devoured now and I have to say the Sticky Toffee Pudding, Manchester Tart and Jam Roly Poly chocolates were all amazing. Unique and yummy! My last gift is a totally free one as I decided to get crafty and come up with my own printable art! You can simply print out this 'Home is where your makeup stash is' print here on your own printer and frame it. I personally find frames from Asda the best and most affordable, starting at only £2 or ones from Ikea or The Range. Hope you like the free printout that you can either keep for yourself or give as a gift to a beauty lover! Phew, the was one long gift guide! 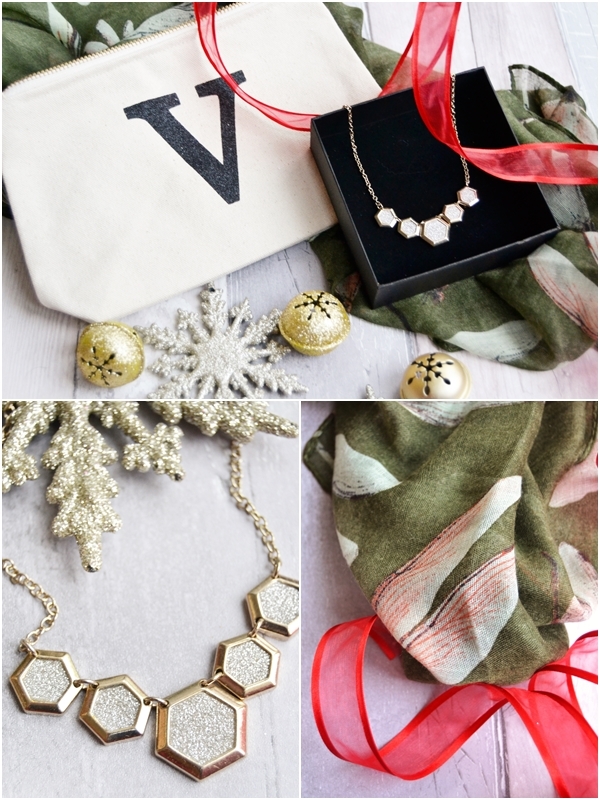 Hope I inspired a few budget gift ideas here or gifts to put on your own Christmas list. Expect my under £15 Christmas Gift Guide on Monday!